SCROLL DOWN FOR MORE DETAILS ABOUT RINPOCHE & THESE TWO EVENTS. 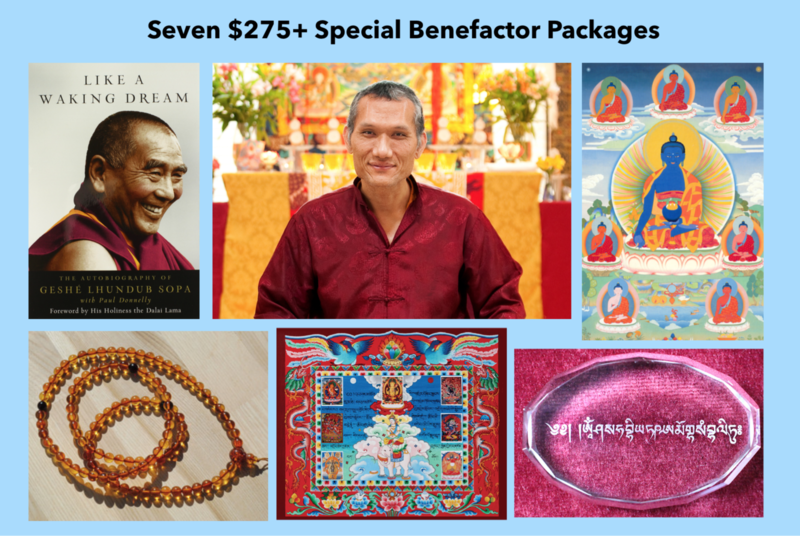 We are offering Seven Special Benefactor Packages for Gonpo Ludup benefactors who offer $275 or more to help us cover the costs of our upcoming teachings with Yangsi Rinpoche. CLICK HERE TO READ MORE ABOUT OUR BENEFACTOR PACKAGES. Yangsi Rinpoche, a Tibetan Buddhist lama in the lineage of His Holiness the Dalai Lama, will offer a public talk, How to Achieve Happiness (1 – 2:30 p.m.), and Healing Ceremony for World Peace/Medicine Buddha Jenang/Blessing (4:30 – 7:30 p.m.) in Laguna Beach on Sunday, November 19. All are welcome to attend both events organized by Laguna Beach’s Gonpo Ludup Study Group, part of the international Tibetan Buddhist organization the Foundation for the Preservation of the Mahayana Tradition (FPMT). His Holiness the Dalai Lama reading a letter from Lama Zopa Rinpoche with Yangsi Rinpoche, FPMT International Office, Portland, Oregon, U.S., May 10, 2013. Photo by Leah Nash. 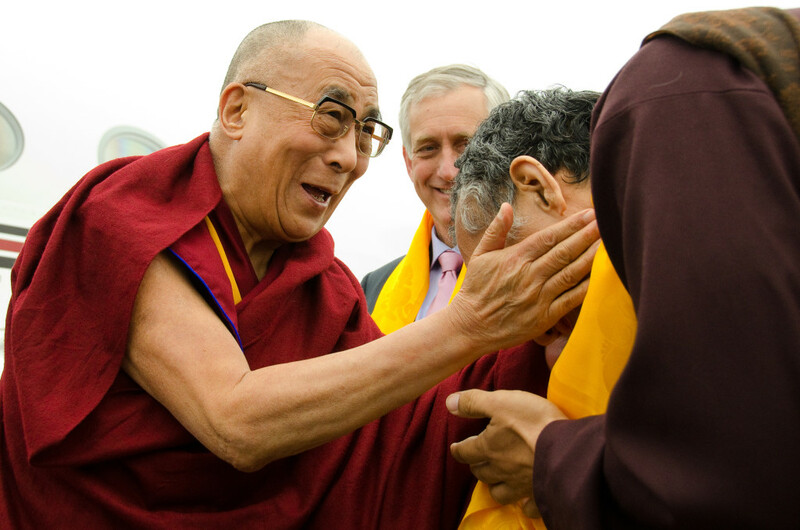 Rinpoche greeting His Holiness upon his arrival in Portland for the 3-day Environmental Summit hosted by Maitripa College in 2013. Based in Portland, OR, Rinpoche teaches in English and is known for his extraordinary insight into the Western psychological condition. “Rinpoche really understands the dissatisfaction and depression so many of us in the West experience, and has a way of making Buddhist psychological tools accessible to everyone,” said Gonpo Ludup coordinator Kate Macdonald. 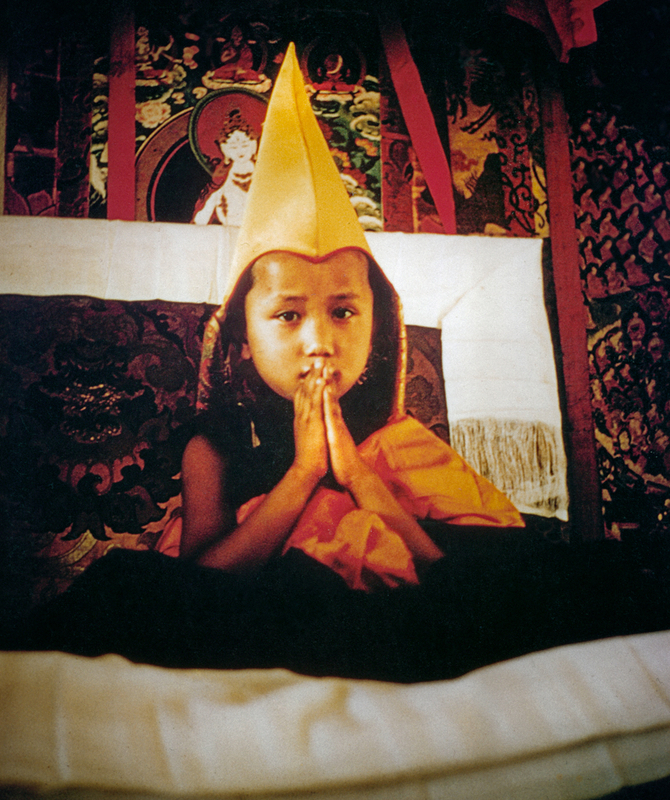 Yangsi Rinpoche in 1975 at Kopan Monastery. Photo Lama Yeshe Wisdom Archive. 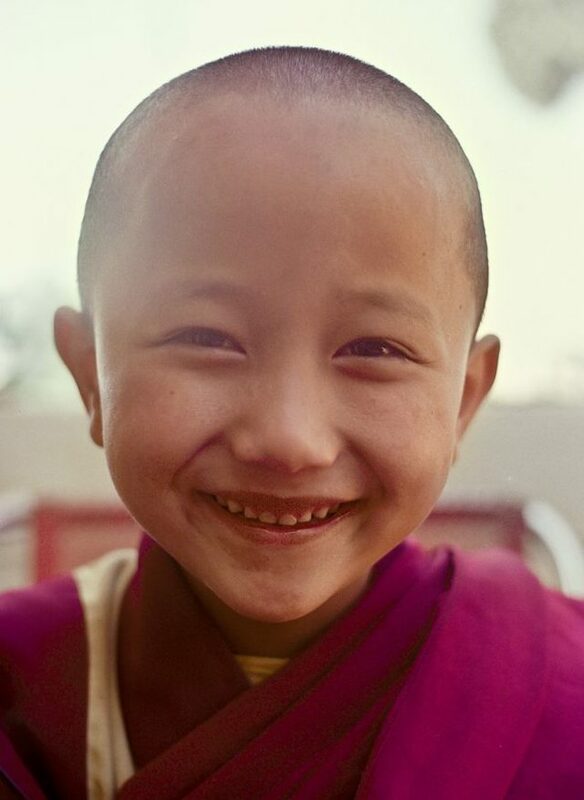 Born in Kathmandu in 1968, Yangsi Rinpoche was recognized at age six as the reincarnation of a great master and yogi from Western Tibet. He was enthroned that year at Kopan Monastery, Lama Yeshe and Lama Zopa Rinpoche’s monastery in Kathmandu, and at 10 began his studies at at Sera Je Monastic University, in south India, where he graduated in 1995, after 25 years of study, with the highest degree of Geshe Lharampa. Rinpoche during his enthronement at Kopan in 1975. Photo Lama Yeshe Wisdom Archive. In 1998 Rinpoche left India to bring the ancient wisdom of the Buddhist teachings to the West. Since then he has taught extensively throughout the US and Europe. In 2005 he founded Maitripa College in Portland, which bridges the worlds of Tibetan Buddhist and Western scholarship. He is also the spiritual director of Buddhist centers, Centro Budista Ganden Shedrub Ling in Puerto Rico and Dharma Friendship Foundationin Seattle, WA. In How to Achieve Happiness Rinpoche will delve into the Buddhist approach to happiness and inner peace. Attendees are encouraged to bring any and all questions they might have about happiness, Buddhism, or life in general. In the Healing Ceremony for World Peace, Rinpoche will confer a blessing of Medicine Buddha, said to be the manifestation of the healing energy of all enlightened beings. Attendees are welcome to bring the names and photos of loved ones to the ceremony – especially those who have recently passed away. You are also welcome to email the names of your friends and loved ones to kate@gonpoludup.org. We will include them all in his prayers. 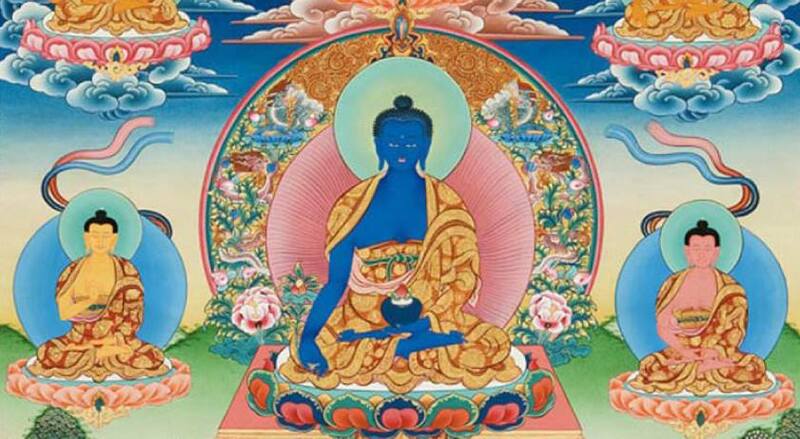 Sunday, Nov 19, 1 – 2:30 p.m.
Sunday, Nov 19, 4:30 – 7:30 p.m.
* Having taken Buddhist Refuge is a prerequisite for receiving the Medicine Buddha jenang/empowerment. No black foods (meat, garlic, eggs, onion, radishes, etc.) should be consumed the day of. If you are attending the Healing Ceremony simply as a blessing you do not need to have taken Buddhist Refuge or avoid black foods the day of. More details to come.